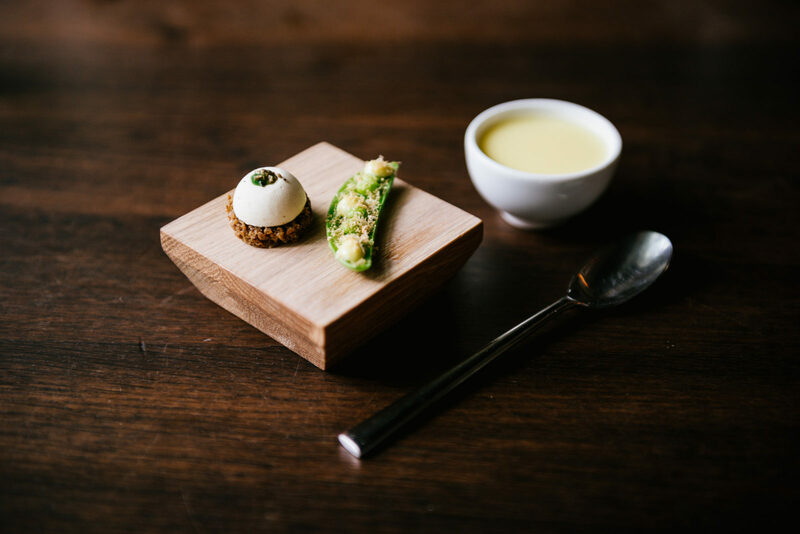 (EN) Christopher Haatuft is a very modern chef: he is largely self-trained, a ‘locavore’, socially conscious, collaborative and disarmingly intelligent. 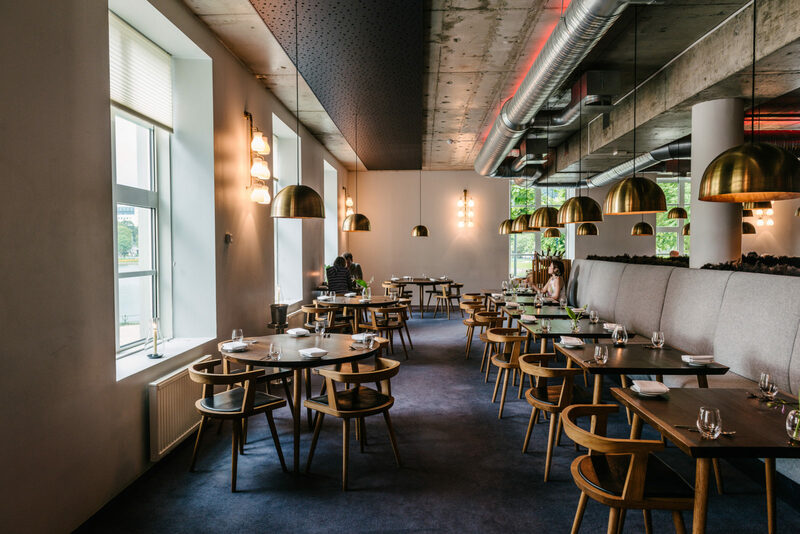 (EN) His minimalist fine-dining restaurant, Lysverket, together with a bar and nightclub, is set in the KODE 4 art gallery in the center of Bergen. And whilst it is easy to conflate his position in global gastronomy with the rise of Scandinavian contemporaries, like Magnus Nilsson and René Redzepi, of Sweden’s Fäviken and Noma in Denmark, respectively, there is something very particularly Norwegian—indeed Bergensere—about him, his philosophies and his cooking. 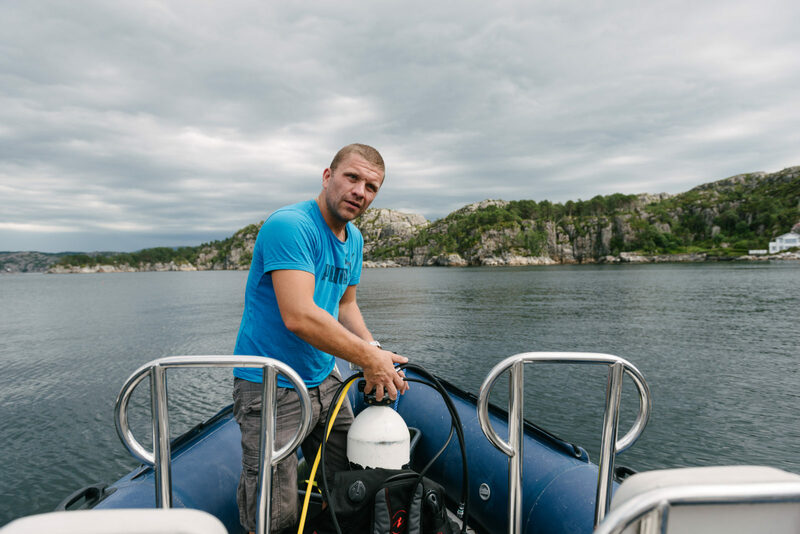 His story is one of Neo-Fjordic coastal geography and organic mountain farmers, sustainable aquaculture and a rejection of macro supply chains. 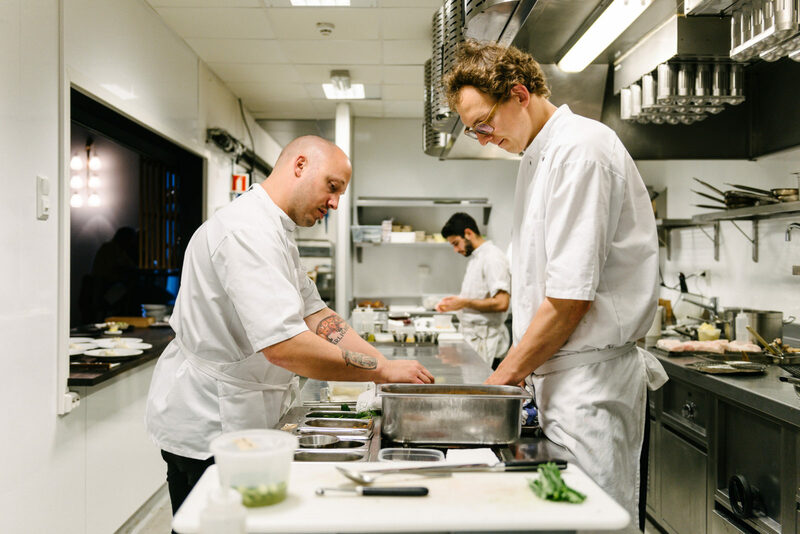 A punk-turned-locavore spokesman, there is reason to believe he’s the Next Big Nordic Thing. When in 2013, Christopher Haatuft opened Lysverket, he had a specific vision for its purpose within the environment and is strikingly adept at articulating his rationale: “Norway has the largest coastline in the world, and we’re in a small, rugged area of that world—with a specific landscape. I wanted to do something that was because of that place,” he says earnestly. With his shaved head, tattoos and single gold tooth, he’s very direct, often serious, all the time connecting what he is doing to the culture, history and landscape of his home. 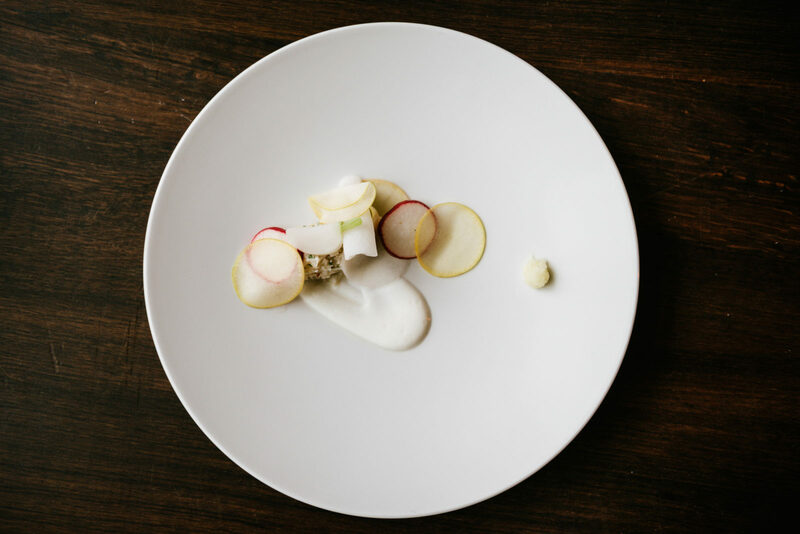 On a journey through that landscape—where conversation moves between the challenges facing salmon fishing in the fjords to the significance of Norwegian black metal—it is apparent that physical as well as ideological phenomena inspire this restaurant. This portrait is part of a collaboration between Freunde von Freunden and the Norwegian Embassy. Along the way, we’re uncovering the Nordic nation’s way of life: through conversations with leading personalities across creative fields to adventures into the unmissable landscape. (EN) Lysverket restaurant within the KODE 4 art museum opened in 2013. 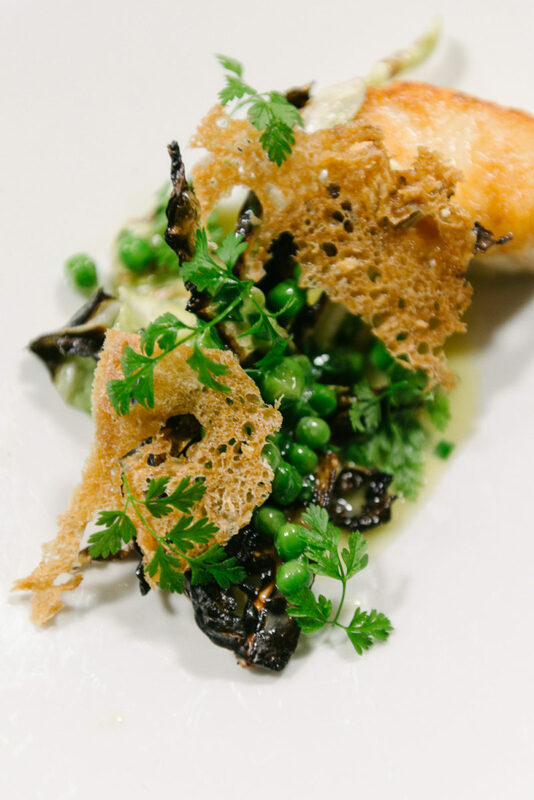 It is a distinctly Bergen restaurant with a focus on fresh seafood from the best local sources including langoustines, lobster, scallops and world-class oysters. 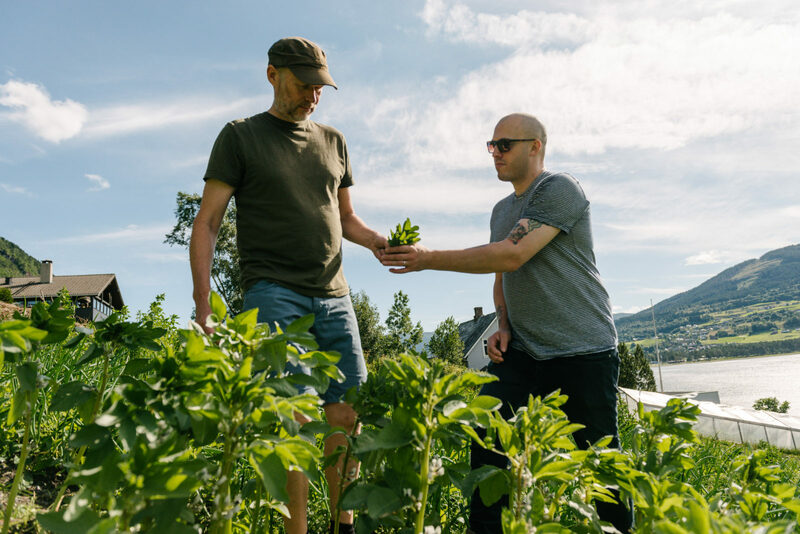 This narrative takes us 100km east along the E-16 to Knut—“Il Padrino”—Finne, a 100% organic farmer in Voss—an inland region of western Norway known globally for its luxe lake water but more importantly for a microclimate: a ‘bowl’ between the mountains, with unusually warm summers, which lend it a suitability to growing produce. 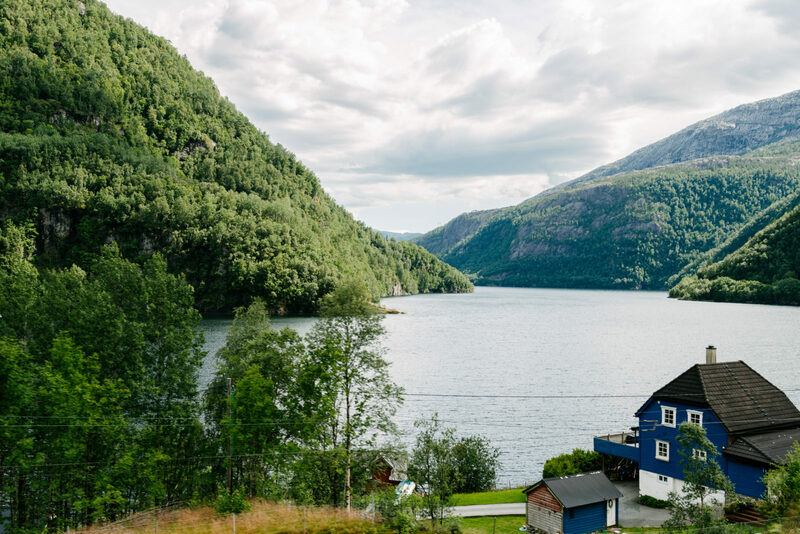 The view from Finne’s south-facing smallholding is breathtakingly beautiful: behind it sits one of the region’s last remaining Medieval halls, a 721-year-old architectural masterwork; to the south, a glistening lake and lush green mountainscape depict a postcard version of western Norway. This is the antithesis of modern, commercial agriculture—and Finne wears the years not just of the four decades spent tending to these crops, but the experience passed on by the many generations of Finnes before him. It seems almost too obvious that nasturtiums—the Vogue-ish, oh-so-New-Nordic, edible flowers—are growing in a pot on the front step of his home. Not that Finne could be seen as anything other than an accidental beneficiary of a culinary zeitgeist. Indeed he acknowledges that little has changed over the centuries: “Since the Medieval period, we have needed the market in Bergen,” he says. (EN) Built in 1250 (yes, that old), The Finne Banqueting Hall is one of the oldest and last remaining Medieval halls in the region. (EN) Finne mechanically farms in the region of 50 crops which yield hardy, staples such as kale, potatoes, cabbage, onions and broad beans as well as summer fruits—the like of which rarely reach the mass market: small yield Oskar raspberries and Bounty strawberries, candy-like in their concentrated sweetness. 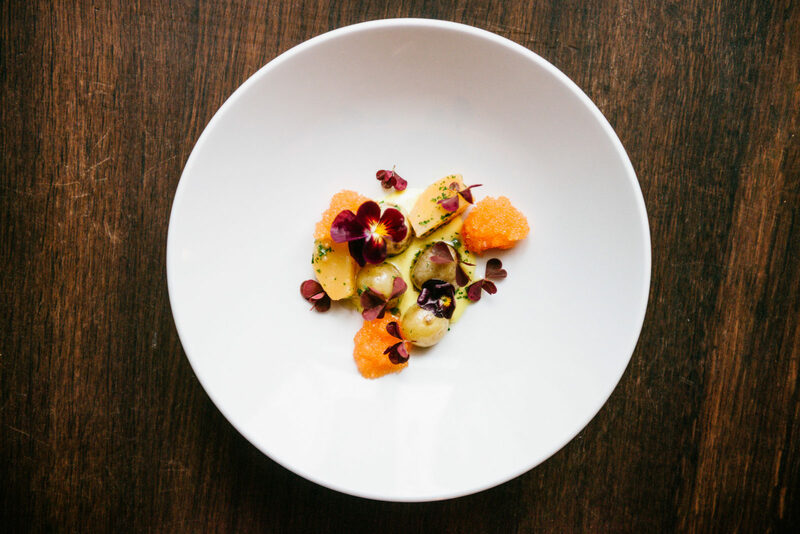 After wandering through Finne’s fields, across rows of broad beans, fennel flower, Jerusalem artichokes, Lilliputian potatoes poking out from under the dirt, Haatuft pulls an onion from the ground, trims it with a pocketknife and holds it aloft. He lovingly admires it, trying to illustrate the sometimes frustrating disconnect between the ingredient-led ambitions of a chef and the expectations of most diners: “Given the [high] price, something as beautiful as this ‘mundane’ onion deserves to be treated as a main ingredient. But it’s very difficult for a customer to justify it when they’re expecting to pay the same for a scallop,” he says. It’s one of the challenges facing chefs who see first-hand the way that onion has been grown, and understand why it costs what it does. 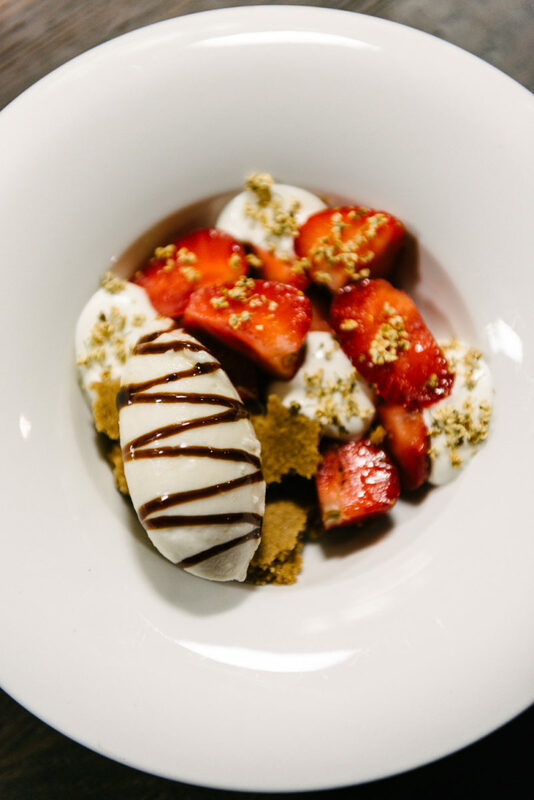 But it won’t prevent Haatuft from working even closer with suppliers like Finne, encouraging them to grow new crops, or fine-tune existing ones, by providing the infrastructure and marketplace afforded to him as a chef with a profile in the city. 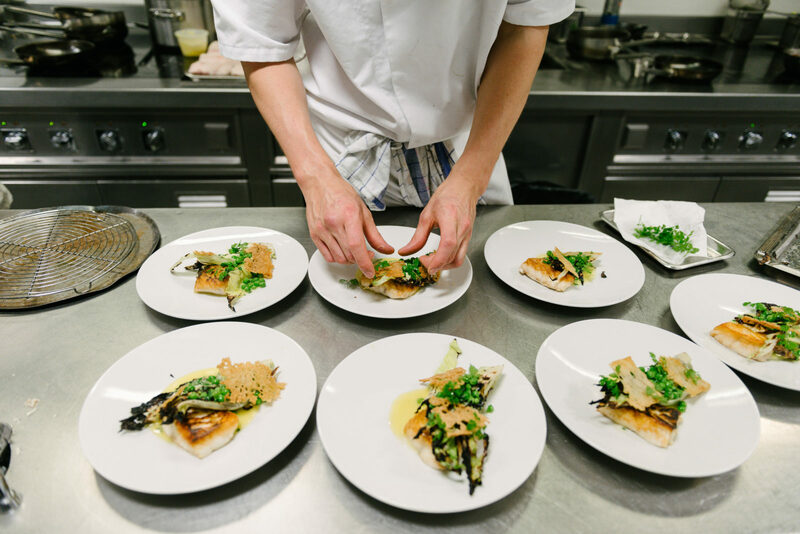 By removing the complicated and costly link in the supply chain, he can at least get the best price and over time work with his guests to demonstrate the value. 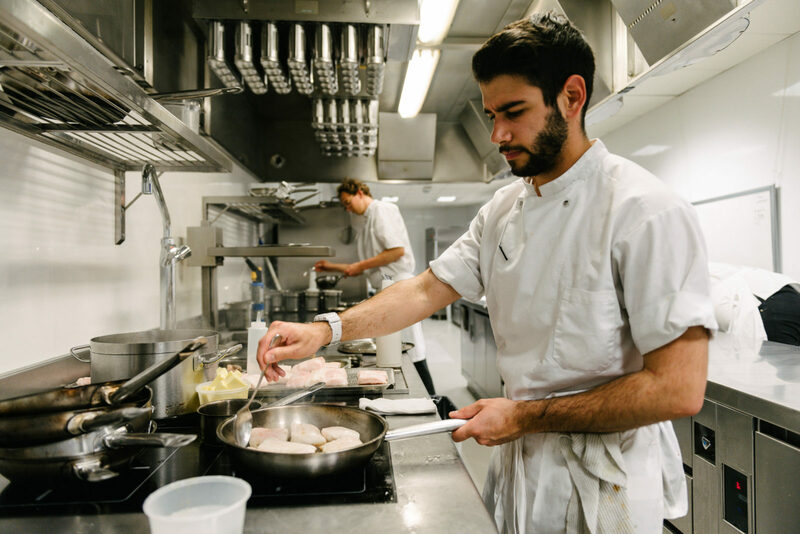 (EN) But while the costs of running a restaurant, particularly in Norway, can be cripplingly high, Haatuft sees Lysverket as an opportunity—it’s his podium. He says that in ways music and fashion now often don’t, “restaurants have become spokespeople for time and place, because they are such a locavore thing.” And the precarious nature of a restaurant as a business—the long road to minimal profit and so many unknowns—forces him to stay “relevant—culturally relevant.” His restaurant, he hopes, is one that could only exist in Bergen. The symbiosis between he and his suppliers is one of the ways he feels he can achieve this. 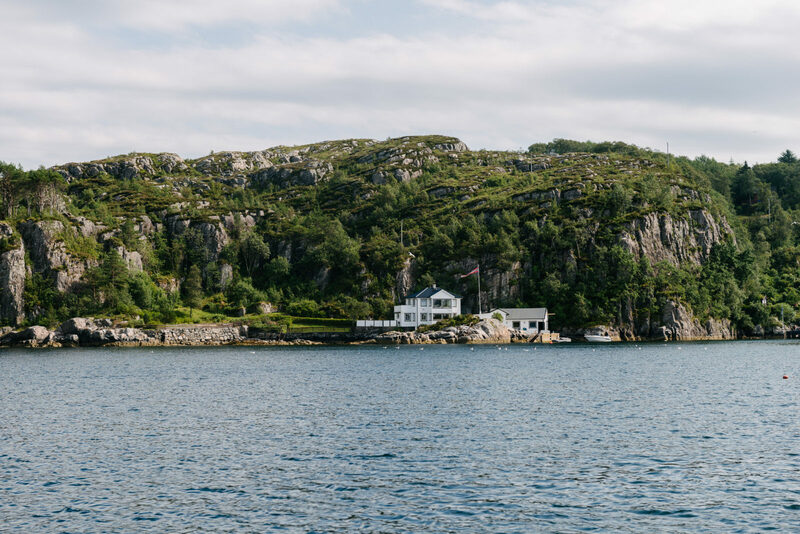 Sotra is just a twenty-minute drive west out of Bergen to the coast. 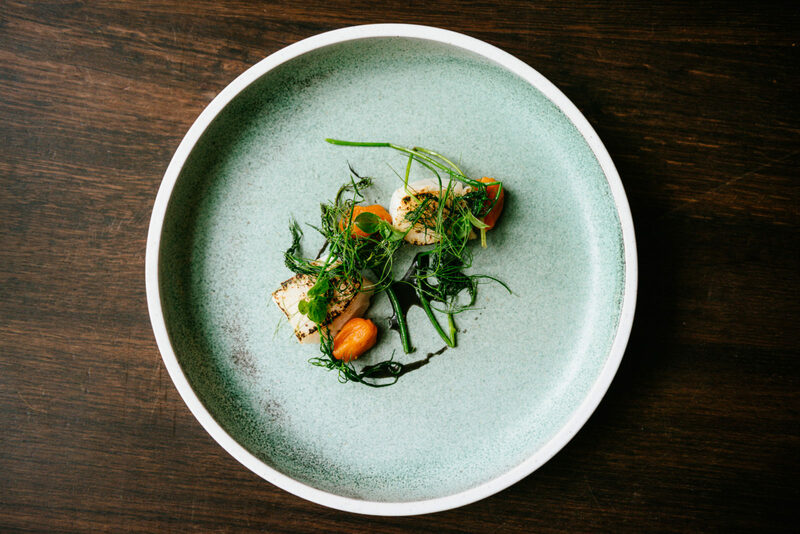 It is here, where the fjords open out into the North Sea, that Haatuft’s friend Knut Magnus dives for Lysverket’s scallops. 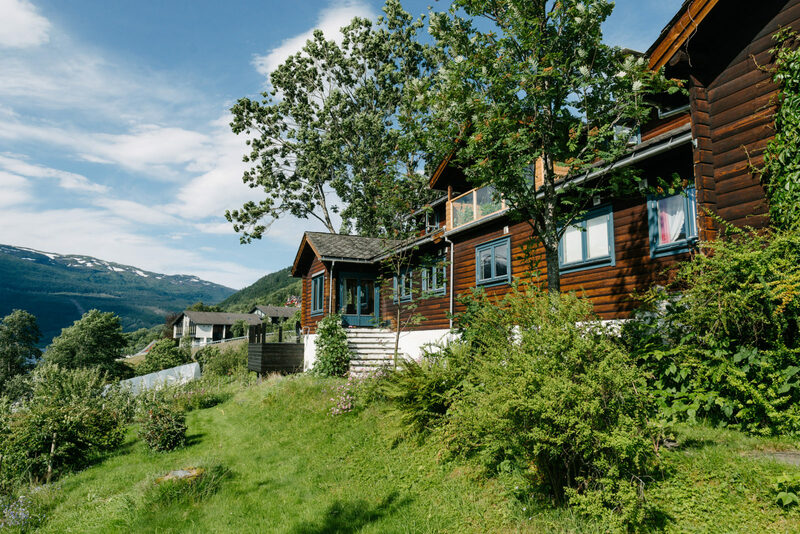 A man, Haatuft describes fondly as, “a dream when you open a restaurant—the kindest, most generous and sweet guy.” Like many Norwegians, Magnus’ generosity is in spirit as much as it is in his reliable provision of fresh shellfish. His parents had dived for fun and he, like them, enjoyed it as a hobby until he met Haatuft through a mutual friend. To regulate the fjord system and protect marine life, strict laws permit only license holders to fish the waters. Haatuft’s requirements for Lysverket encouraged Magnus to acquire his own three years ago and he seems to enjoy the new purpose of dives. It’s a world that has made Christopher Haatuft and one that he has made his own. As we pull out of Knut Magnus’ driveway en route back to Bergen, Roots Manuva’s ‘On a High’ comes on the stereo. It’s hard to ignore the symbolism in the chorus: “We don’t need a thing but us. 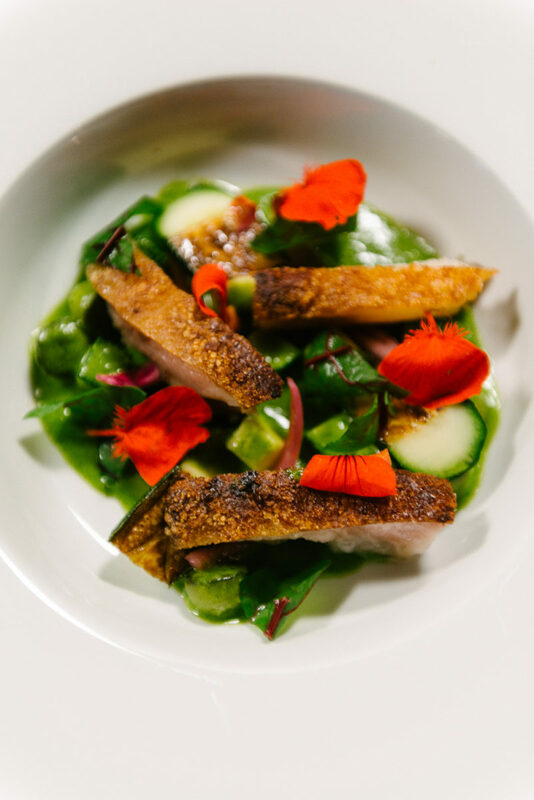 Just us.” And though Haatuft might share his story better than most, courting the attention of international chefs, Lysverket exists as a product of its place, the people and the ingredients of Western Norway. (EN) With huge thanks to Christopher Haatuft, the two Knuts: Knut Finne, the farmer and Knut Magnus, the diver; and T-Michael, the tailor.